Each year, 3,000 new cases of mesothelioma are diagnosed. The hazards of asbestos exposure are well documented. Many countries have enforced a ban on asbestos in industries that put workers at risk of exposure. Despite the ban, a number of workers from industries such as paper mills, steel mills, construction and shipyards, and their families that have been exposed to asbestos are still facing the effects of asbestos on their health. In the year 1980, the use of asbestos in a number of industries had reached its peak with a whopping 4.7 trillion metric tons of asbestos used world over. After the ill effects of asbestos on health were found, a number of countries put a ban on asbestos usage. This ban led to a 55 percent decline in the usage of asbestos. The U.S. is one of the countries that still use asbestos in a number of industries. The Occupational Safety and Health Administration (OSHA) has set limitations on employee exposure and monitors the amount of exposure. According to OSHA, 0.1 asbestos fibers per cubic centimeter of air is the permissible limit. The Regulatory Toxicology and Pharmacology journal published a study in 2015 to check if the OSHA measurement limitations were followed by different industries to ensure safe work places for their employees. The study found that from 1984 to 2011, samples collected showed the presence of asbestos ranging from .001 to 175 f/cc. From 2001-2011, industries like construction, automotive repair, manufacturing industries, and chemical industries were found to have asbestos presence exceeding 10 f/cc. Despite efforts to monitor asbestos exposure for the past decade, OSHA compliances are being violated on a regular basis, putting workers at risk. 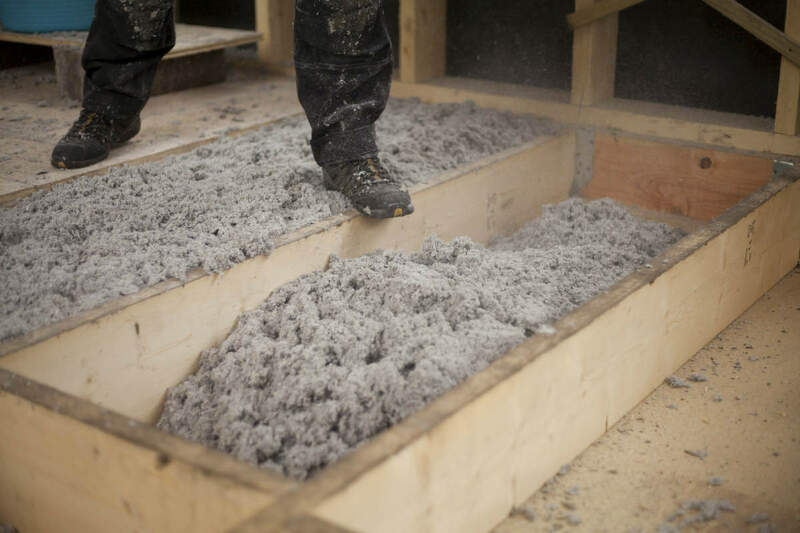 The Environmental Working Group Action Fund estimates that the rate of asbestos-related deaths is higher than the earlier estimated 12,000 to 15,000 deaths every year. Mesothelioma – Mesothelioma is a rare cancer of the lining of the chest and the abdominal cavity. Mesothelioma is caused only by asbestos exposure. Asbestosis – Asbestosis is scarring of the lungs that can cause difficulty in breathing. According to the American Thoracic Society 2004, an estimated 1.3 million construction workers, including workers in building and equipment maintenance, are at the highest risk for exposure to asbestos. When OSHA standards and regulations are not adhered to, employees in the construction industry face serious health hazards. If you or a loved one has been diagnosed with mesothelioma or lung cancer due to asbestos exposure, seek the legal assistance of a St. Louis work-related injury lawyer. For a free consultation, call The Law Office of James M. Hoffmann at (314) 361-4300.